Within' this website; J-MAGIC ENTERTAINMENT may seek personal information provided by the visitor for the purpose of sending product catalogs or promotional materials. Information such as name, mailing address, e-mail address, type of request, and any additional information you provide, is collected by J-MAGIC ENTERTAINMENT and is used to meet your request. 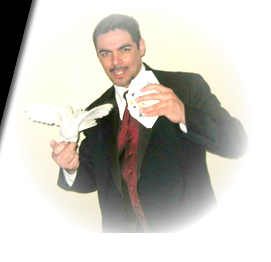 The information you provide is used by J-MAGIC ENTERTAINMENT to improve the services we provide to you. Your information will never be given or sold to any third parties. J-MAGIC ENTERTAINMENT cannot guarantee your confidential use of this website. J-MAGIC ENTERTAINMENT will not assume responsibility for and direct or indirect damage you or any person may suffer as a result of a breach of confidentiality resulting from your use of this site or any information you or anyone on your behalf transmitted to this site.